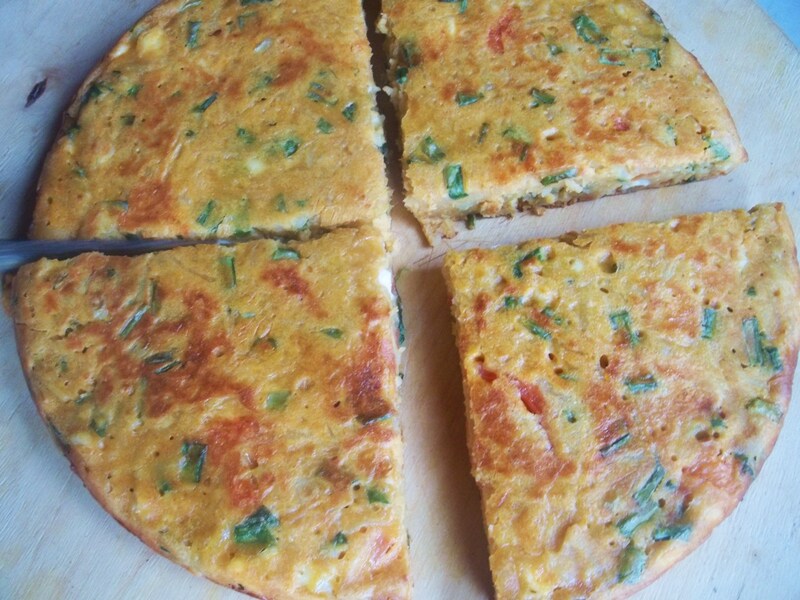 In this family recipe from a village in lower Racha (Georgian: რაჭა) we show how to make a type of khachapuri similar to Mokhrakuli Khachapuri (Georgian: მოხრაკული ხაჭაპური) in that it is fried, not baked, and takes much less time to make than the traditional baked khachapuri. Ingredients: Dough: 3 eggs, 200 grams of flour, 150 ml of water, 1 heaped tbs of sour cream, 1 level tsp of salt, 1 level tsp of sugar, half tsp of baking soda. 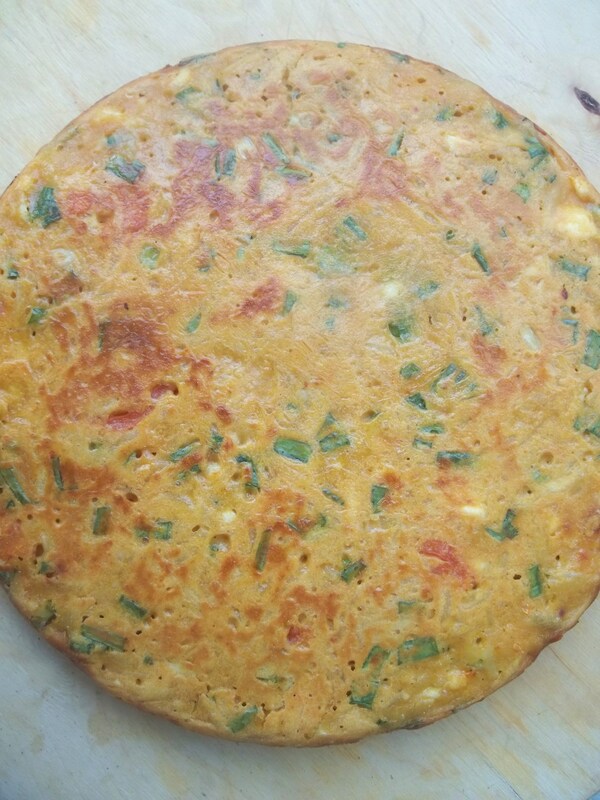 Filling: 1 tomato, 50 grams of green onion, 1 large potato, 200 grams of Imeretian or Sulguni cheese, 1 tbs of hot red pepper and 5 tbs of oil. 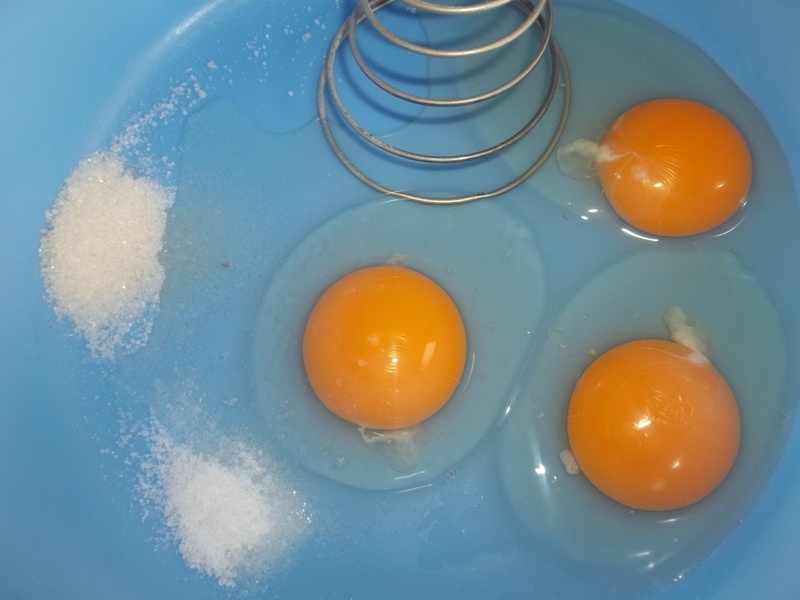 Preparation: Add the eggs to a mixing bowl and beat together with 1 level tsp of sugar and 1 level tsp of salt. Use a whisk to beat the ingredients. And 1 heaped tbs of sour cream, together with 150 ml of water and mix. 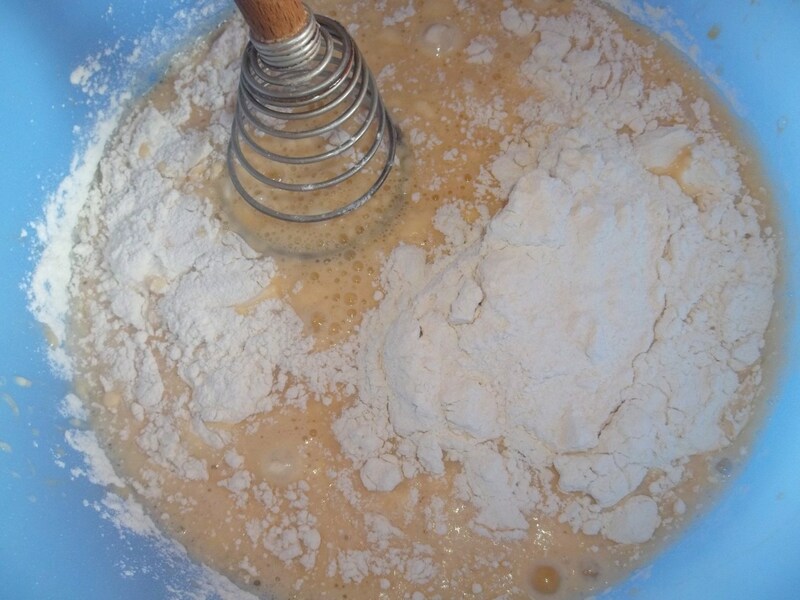 Gradually add and mix in 200 grams of flour. 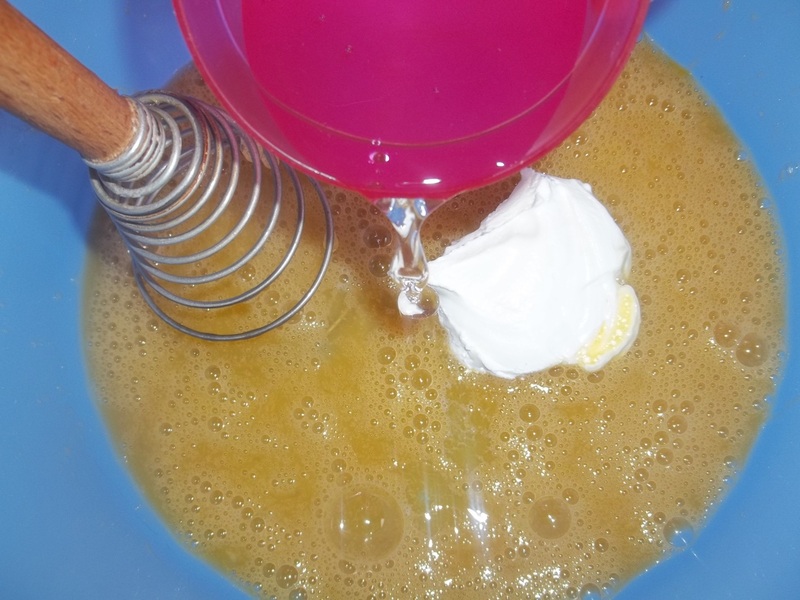 Add half tsp of baking soda and mix with a spoon. 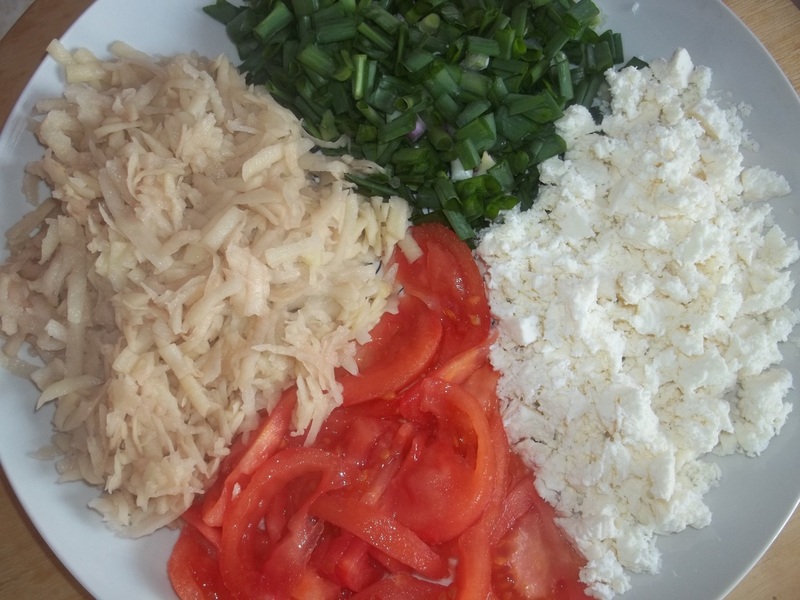 Crumble the cheese, chop the green onions, grate the potato and slice the tomatoes. 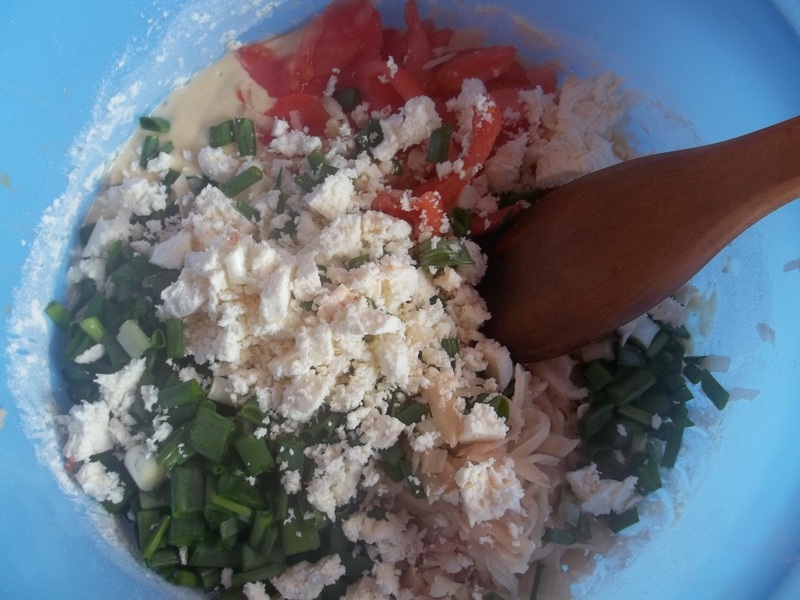 Add the cheese, green onions, grated potato and tomatoes to the egg/flour mixture and stir with a wooden spoon. 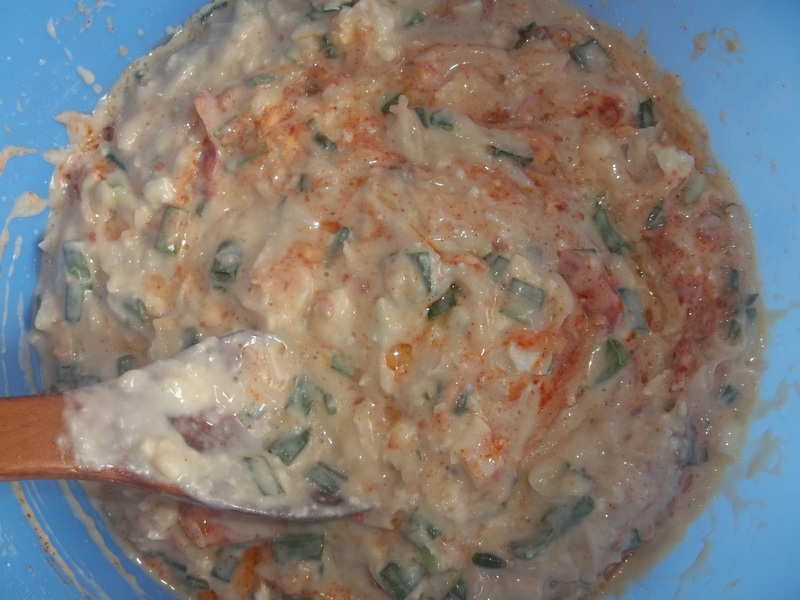 Add the red pepper and 5 tbs of oil. 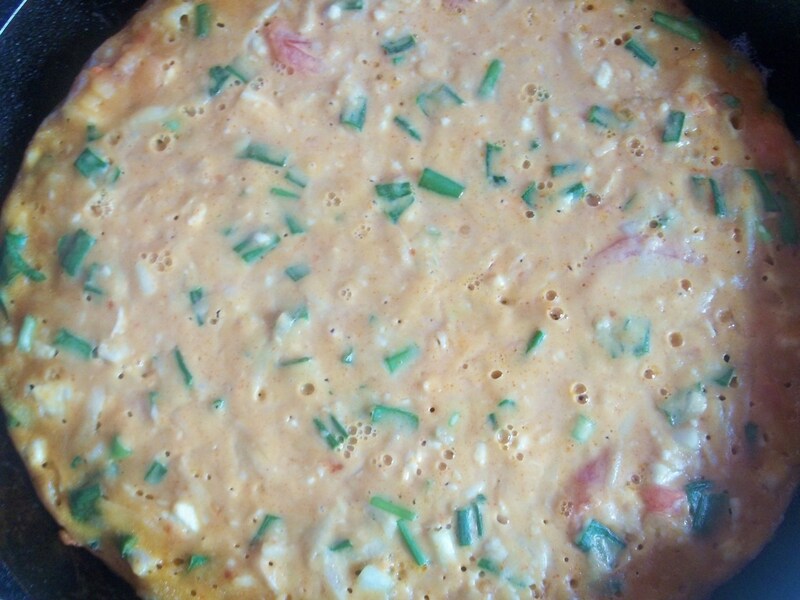 Pour the mixture into a hot pan that has a little oil and heat on a low temperature for 20 minutes. 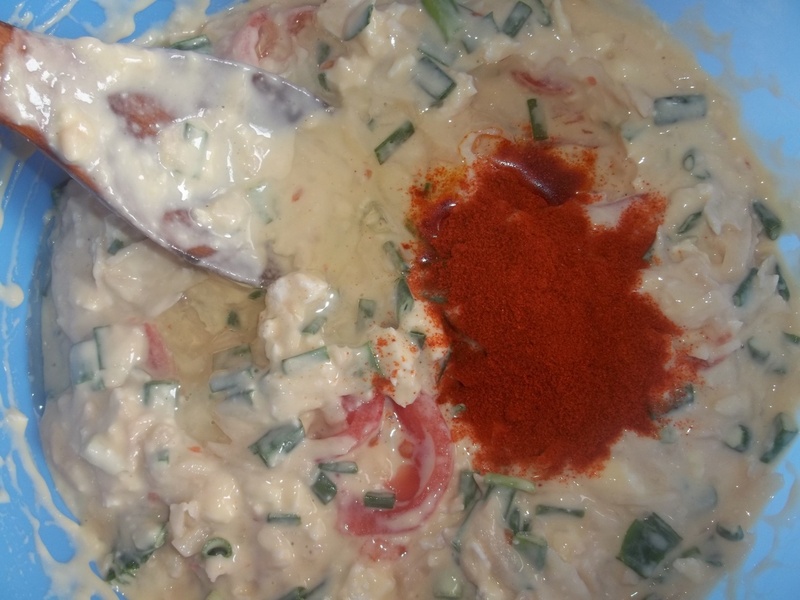 After 20 minutes, carefully turn the Mokhrakula and cook for a 5 minutes on a low temperature. I cant wait to try this one. Thanks for sharing.